Firefighting foam concentrates are designed to be mixed with water prior to use. For most fixed foam systems, this is done automatically when the system is triggered by a fire event through the use of proportioning equipment resulting in foam solutions typically ranging anywhere from 1% to 6% foam concentrate (99 to 94% water, respectively) depending on how the foam concentrate has been formulated, certified, and listed. Ensuring that both the foam concentrate and the proportioning equipment in this type of system meet periodical testing requirements will result in confidence in the fire protection system. Performance degradation of either could be catastrophic. However, for some portable systems, the foam concentrate may be mixed into a solution well before the event of a fire and then stored prior to use. In this case, performance of the foam solution itself and not the concentrate and proportioning equipment must be evaluated. During periodical testing, the foam concentrate needs to demonstrate the same physical and performance characteristics as it did when certified. Any drastic change in these properties likely means the chemistry of the foam concentrate has changed: surfactant ingredients may have broken down, contaminates may have been introduced, etc. As the chemistry of the foam concentrate changes, confidence in its ability to perform on a full-scale fire decreases. After all, in most cases, the foam concentrate has only been tested for certification as formulated. It is of equal importance to ensure the proportioning equipment can produce a foam solution at the listed concentration. Even if the foam concentrate meets all the certification and periodical requirements, it still needs to be mixed correctly to perform as designed. Because the foam concentrate is formulated to be used at a specific percent and has only ever been tested at that percent, confidence in its ability to perform can only be achieved by ensuring it is mixed appropriately. Too little foam concentrate in solution and the system may not provide adequate fire protection. Too much foam concentrate in solution and you are using more foam than needed, which increases system costs and increases the risk of running out of foam concentrate too quickly. Increasing foam concentrate in solution does not necessarily mean better system performance. During periodical testing, the performance of the foam solution in a portable system must be evaluated due to potential degradation over time. Even if the foam concentrate used to make the solution is available and tests confirm it has maintained an acceptable level of performance, the solution has been stored in different conditions than the foam concentrate so no comparisons can be made between the two. Furthermore, since the solution was made and stored prior to use, any concern about the percent concentration of the foam concentrate in the solution will be addressed directly in the performance evaluation of the solution. For these reasons, an evaluation of the foam concentrate and any proportioning equipment used is not needed in this case. Note that not all foam concentrates have the same chemistry. Manufacturers utilize different ingredients when formulating their foam. Even different types of foam from the same manufacturer will utilize different ingredients to achieve their goals for that specific product. A result of these differences is the duration of time a foam concentrate can maintain its performance while in solution. Some formulations simply do not last long in solution form and should only be used in fixed systems where the solution will be used immediately. The exact cause of solution performance degradation isn’t fully understood but the current theories generally surround the salts found in water supplies and the potential for accelerated surfactant breakdown. Also note that other ingredients indirectly related to performance, like pH buffers and corrosion inhibitors, are less effective in the diluted solution. For these reasons, a foam concentrate should only be stored in solution when the manufacturer has expressed their concentrate is qualified for such use. They will need to have conducted several longevity studies over a large array of water supplies to determine if the solution maintains adequate performance while stored. Whether you are testing at Dyne or another recognized laboratory, requesting the appropriate tests for your type of solution is important to prevent inaccurate conclusions and ensure fire safety. Requesting the percent concentration test for a foam solution (usually referred to as premixed foam on sampling forms) will tell you the percent of foam in the solution. This test should be conducted for fixed system proportioned solutions. Should this type of testing be requested, ensure that a sample of both the system water and the foam concentrate are also sent with the solution sample. They will be necessary to accurately complete the tests to determine percent concentration. Note that this percent concentration can also be done in the field by a qualified technician. Annex D of the current, 2016 edition of NFPA 11 goes into more detail on how this testing can be conducted. Requesting the performance test for a foam solution will result in a report that specifies if the solution has maintained adequate foam quality. This often times is defined as expansion, drain time, and/or film formation (if applicable). This testing should be conducted for stored foam solutions that are made for portable systems. Failure to request the appropriate test could result in inaccurate conclusions. For instance, if a foam solution from a fixed system’s proportioning equipment were to be tested for performance, it may illustrate very low performance at the lab simply because of the time between when the sample was collected and when it was tested. Even the few days during transit may be enough time for a foam solution performance to degrade if it isn’t meant to be stored in solution. This low performance may not be a concern, though. The foam isn’t being used in such a way on site. In this scenario, the foam concentrate should be tested for performance and the foam solution should be tested for percent concentration. While foam solution performance may degrade in transit, the percent concentration shouldn’t change provided the bottle containing the sample is sealed properly. If both the foam concentrate performance tests and the foam solution percent concentration tests produce satisfactory results, the foam solution produced and applied to a hazard in the event of a fire should perform as designed. 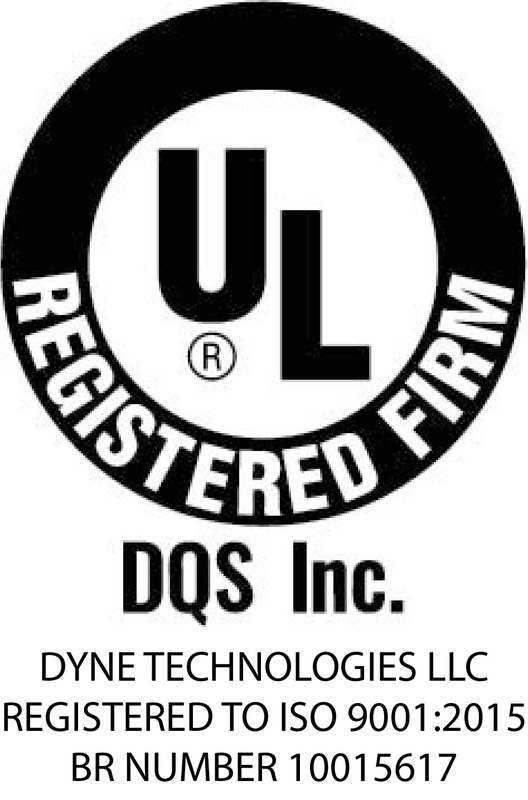 If you have any questions regarding this article or would just like more information, please contact Dyne Fire Protection Labs at lab@dyneusa.com or (800) 632-2304.